Brian McKnight plays Dorton Arena Thursday, Oct. 18. Tickets are $15. With a career that spans more than 20 years, Brian McKnight continues to be a powerful voice in the R&B community. Dedicated fans can probably remember playing his self-titled 1992 debut album on their Walkmans, and rewinding “One Last Cry” over and over and over again. 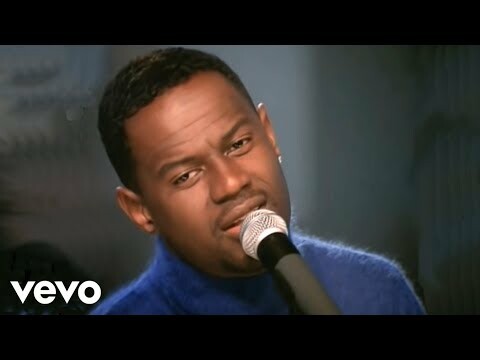 For some fans, including yours truly, Brian McKnight will always be 1999’s “Back at One” album. That album was great for slow dancing and the title track, “Back at One,” taught millions of us about a five-step process to win over our loves. You can see Brian McKnight perform in Dorton Arena on Thursday, Oct. 18. Tickets are $15. Thursday is also Food Lion Hunger Relief Day at the fair. Four cans of Food Lion brand food get you in the gate for free that day, and all donations benefit the Food Bank of Central and Eastern North Carolina. So, come out with your canned goods and concert tickets. You’ll get to see an awesome show and help those less fortunate in our community. If you don’t have tickets yet, you can purchase them online at www.ncstatefair.org. Back at One, Brian McKnight, Dorton Arena concerts, Dorton concerts, Fall, fall concerts, Food Bank of Central and Eastern NC, Food Lion Hunger Relief Day, One Last Cry. Bookmark.